During your geocaching ‘career’ you will find many types of cache, hidden in a variety of ways. There are a large variety of commercial caches available, some of which are very cleverly disguised and which I have documented here. Of course this is a small sample of what you can expect to stumble upon. A Nano Cache is a tiny tube with a rolled up log book, these can be really hard to find and sometimes it can be even harder to get the roll out. When you are looking for a Nano Cache I suggest you take a pair of tweezers to pull the rolled up logbook out and of course a pen. 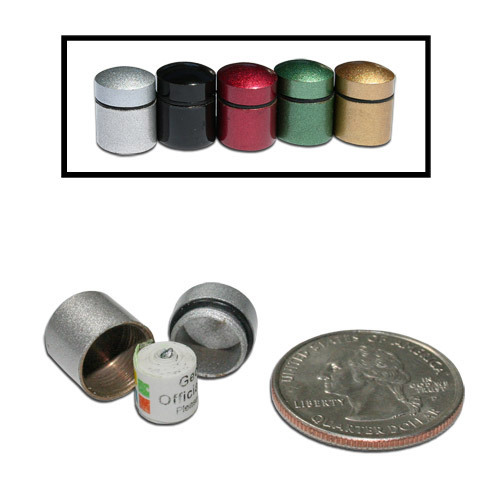 Micro caches are a little bit bigger than Nano caches, but you will still need tweezers and a pen. Normal sized geocaches are around the size of a tupperware box, these will normally contain trinkets that people have left to trade. These are the tricky ones… Here are a few examples of camouflaged caches: a cache disguised as a fake rock, loose bolts and a magnetic bolt for attaching to a metal surface. There are even fake dog poo one being sold on the internet and all manner of cleverly designed self build caches. Be the first to comment on "Types of Geocache"